Like Alaska, Yukon is a northern wilderness of endless mountain ranges, forests, and icefields. Because of its sparse population, the Territory very much defines the words “wild,” “remote,” and “unspoiled.” Most of Yukon has a subarctic climate, characterized by long cold winters and brief warm summers. Around the Whitehorse southern Yukon area, evergreen trees grow abundantly but as you travel north, the shorter and colder growing season only allows treeless tundra to thrive. Though Yukon blossoms with wonderful wildflowers in the summer, the diverse colors of early autumn make fall my favorite season. The tundra in the north explodes with red and orange hues during this time, making it popular with photographers. Regardless of when one visits, the Canadian territory is a photographic paradise of vast uninhabited expanses, huge towering mountains, colorful foliage, and unrelenting weather. Rain is often likely but the weather regularly produces some of the most incredibly dramatic and menacing clouds - especially during the golden hours. 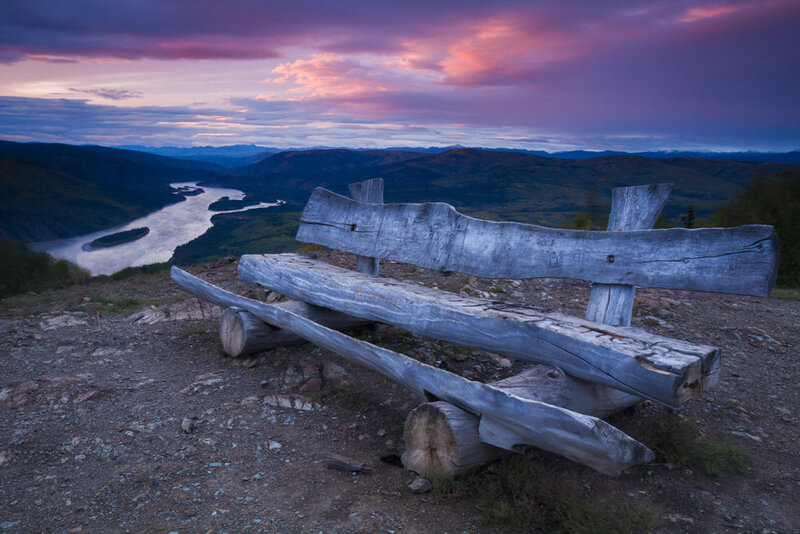 Southern Yukon is dotted with beautiful lakes and mountains, all of which are more accessible than other wilder, parts of Yukon. Yukon Highway weaves its way around this area and provides majestic views and short hikes right from the road. The section of highway just outside Whitehorse, and around Fish Lake in particular, accesses a stunning sample of the taiga wilderness that is Yukon (pictures two and four). 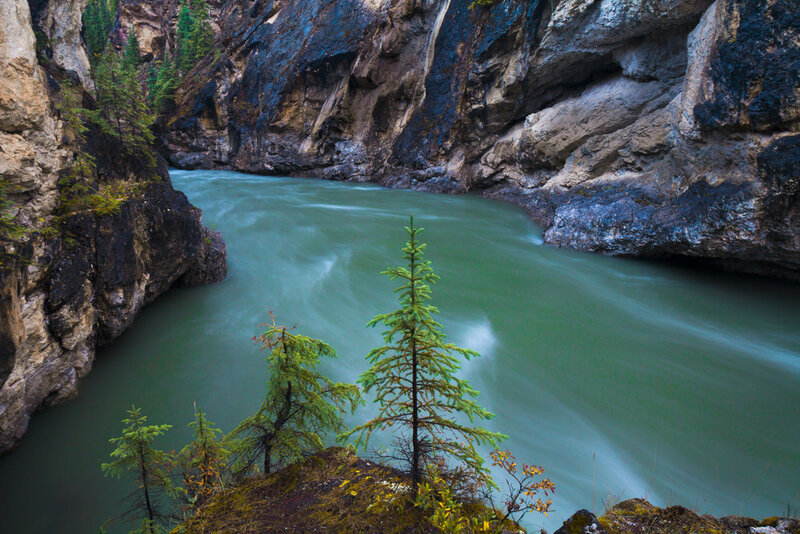 Further east and running near the Mackenzie Mountains in central Yukon is the short but deep Lapie River Canyon of pristine teal water (picture five). As the river cuts further into the canyon, the walls begin to grow in height. There are a number of interesting overlooks to view the river below, including this one with small pine trees growing on the banks. The road crossing between central Yukon and Alaska is appropriately named the “Top of the World Highway” and traverses high elevated mountain passes, as its name suggests. From is vantage point it is absolutely incredible to see the rolling hills, blanketed in colorful fall flora, in front of distant snow-covered peaks. Western Yukon is also home to the mighty Yukon River that enters from Alaska and ends near the border with British Columbia. Kluane – home to Canada’s largest mountains – is a land of extremes. This southwest Yukon park contains Canada’s highest peak (the 5,959-meter Mount Logan), its largest ice field, and North America’s most genetically diverse grizzly population. Outside its frozen interior, the park is forest and tundra where the climate is colder and drier than in the western and southern parts of the park. The park’s interior is generally accessible only via flightseeing tours or on serious mountaineering/ski touring expeditions. The first picture showcases the beauty of the park during peak fall season. The row of mountains in the distance are essentially holding back the sheet of ice that continues far into Alaska.